Blacks Creek’s conveyors are constructed with a heavy steel frame and are powered by either a V-belt Honda engine or hydraulic motor with remote. Conveyors greatly increase firewood productivity and can be used for other materials such as hay, mulch, etc. Blacks Creek’s live decks allow a large quantity of logs to be accessible for processing into firewood, thus increasing productivity. 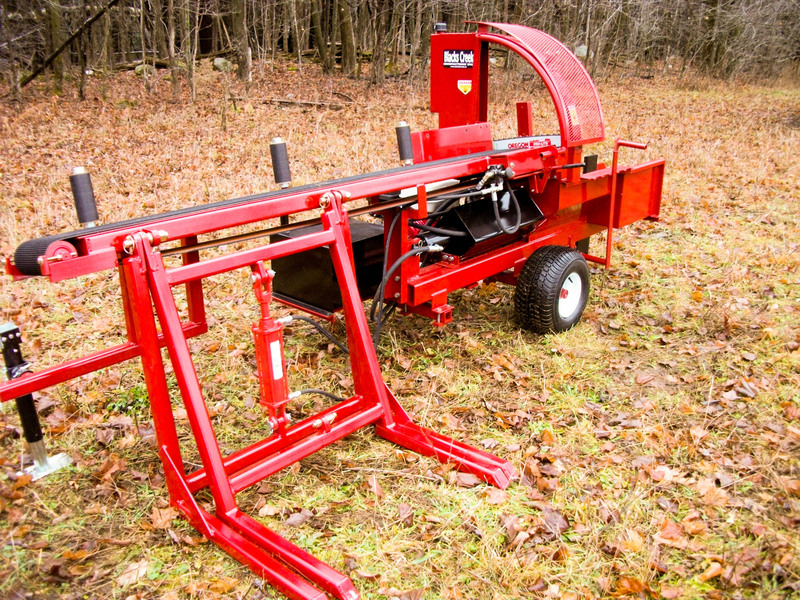 The live deck uses a chain conveyor system driven by a hydraulic motor connected to the firewood processor’s hydraulic system to advance logs quickly onto the processor’s conveyor with the push of a lever. The units are supported by adjustable legs. Maximum log length, 16 feet. Model Size 8′ LD-68 6’w x 8’l Price $3,050 (8FT / 6FT on 2500 Model). Blacks Creek Firewood Cages are the perfect accessory to your home or business. Cages feature flip down front opening for easy access for your customers. Simply bring a cage of firewood to your customer and leave it with them. When it’s empty bring a full cage and return with the empty cage for future delivery. There’s a handy plate for your firewood business’s name and number.